The team of William Henry (1862-1942; president of the Royal Society; knighted in 1920) and William Lawrence Bragg (1890-1971; knighted in 1941) is one of the most scientifically productive in history. The duo succeeded in constructing the first X-ray spectroscope (an optical instrument that breaks up light from any source into a spectrum for study), establishing the science of X-ray crystallography. In 1914, the father-and-son pair won the Nobel Prize for physics, the only team ever to be so honored. The win made William Lawrence, at age twenty-five, the youngest Nobel recipient in history. William Henry Bragg was educated on the Isle of Man at King William's College. He entered Cambridge University at age nineteen to study physics under John William Strutt, Lord Rayleigh (1842-1919) and Sir Joseph J. Thomson (1856-1940). After graduation, Bragg took a position at the University of Adelaide (Australia) in 1886. During the next eighteen years, he established a reputation as a great teacher. 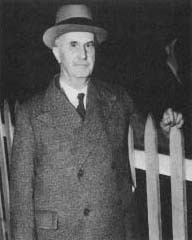 Bragg published almost no papers, however, and conducted no original research until he was forty-one years old. The turning point in Bragg's career came in 1906. As co-president of the Australasian Association for the Advancement of Science, he was expected to deliver an address. For his topic, Bragg chose recent break-throughs in radioactivity. Inspired by the research being done yet recognizing several flaws in the findings, he decided to pursue his own line of inquiry. For the next two years Bragg made contributions to radiation physics, particularly the study of alpha particle emissions. William Henry Bragg arrives in America to deliver a lecture in front of the American Academy of Science. Meanwhile, William Lawrence Bragg was walking firmly in his father's footsteps. Recognized as a child prodigy, the younger Bragg entered the University of Adelaide when he was fifteen. He spent most of his time helping with his father's research. William Lawrence was the recipient of Australia's first medical X-ray examination when his father used a home-built X-ray machine to examine his fractured elbow. In 1909 when the Braggs returned to England, William Henry taught at Leeds University and William Lawrence attended graduate courses at Cambridge. The Braggs eventually became intrigued with Max von Laue's (1879-1960) discovery of X-ray diffraction. Laue had used a crystal to create a diffraction (the breaking up of a ray of light into dark and light bands) pattern, proving that X-rays were transverse (crosswise) electromagnetic waves, like those of light. William Lawrence developed a system of equations based upon the theory that crystals were arranged in planes of molecules. Using these equations (now known as "Bragg's Law"), the father and son began a series of experiments that culminated in the invention of the X-ray spectroscope in 1913. The first application of the X-ray spectroscope was to examine the structure of certain crystals. The Braggs discovered that sodium chloride crystals are not made of molecules at all, but rather patterns of sodium ions and chloride ions. This early experiment also served as the foundation for the science of X-ray crystallography. Crystallography has since become an important tool for chemists and mineralogists and was the key process in the research of DNA (genetic) structure. In addition to their highly technical research achievements, both Braggs had talent for passing on the wonders of science to the public. William Henry was a sought-after speaker in Europe, and William Lawrence enjoyed writing science books for children.